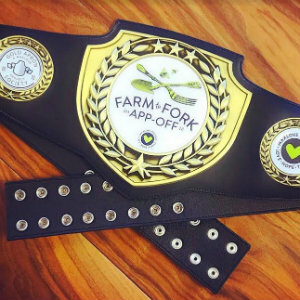 MaxLove Project—an Orange County nonprofit dedicated to improving the lives of child cancer survivors and their families—will host the inaugural Farm to Fork App-Off competition 6-10 p.m. Thursday, May 24, at The Lost Bean in Costa Mesa, presented by Fermentation Farm. The App-Off will become the premier spring fundraiser for MaxLove Project with proceeds supporting their Culinary Medicine program collaboration with CHOC Children's Hospital. That program is dedicated to teaching the importance of food as medicine in a groundbreaking program pioneered by the use of mobile kitchens. -Chef Amy Lebrun of Lido Bottle Works in Newport Beach--Sustainable Seafood and Locally-Sourced Global Cuisine. -Chef Cathy McKnight of Eilo’s Kitchen, an Airstream Food Truck---Paleo, Vegan, Vegetarian and Gluten-Free Foods. -Chef Blake Mellgren of Craft House in Dana Point--Southern-Inspired American Cuisine. -Chef Loreta Ruiz of La Vegana Mexicana in Downtown Santa Ana. The winner will receive a one-of-a-kind championship belt created for the event. Attendees will also be able to enjoy offerings from Fermentation Farm in Costa Mesa, as well as wine and beer tastings, live music, and a commemorative MaxLove wine glass. 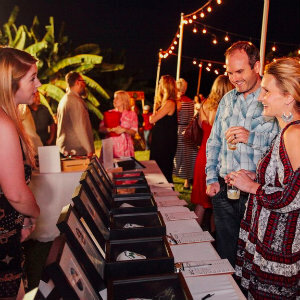 MaxLove Project will return Sept. 22, 2018, with their popular Farm to Fork Dinner, a farm-to-table dining experience serving MaxLove families and community members at Tanaka Farms in Irvine. The event has raised more than $500,000 for the MaxLove community. MaxLove Project is an innovative grassroots nonprofit organization with a mission to increase the quality of life and reduce health risks for all children surviving cancer, both in treatment and beyond. MLP empowers families fighting childhood cancers and related life-threatening conditions with the quality of life care, fierce foods, whole-body wellness resources, education, and research. They believe that true health starts when families are empowered to be active partners in their child’s healing.